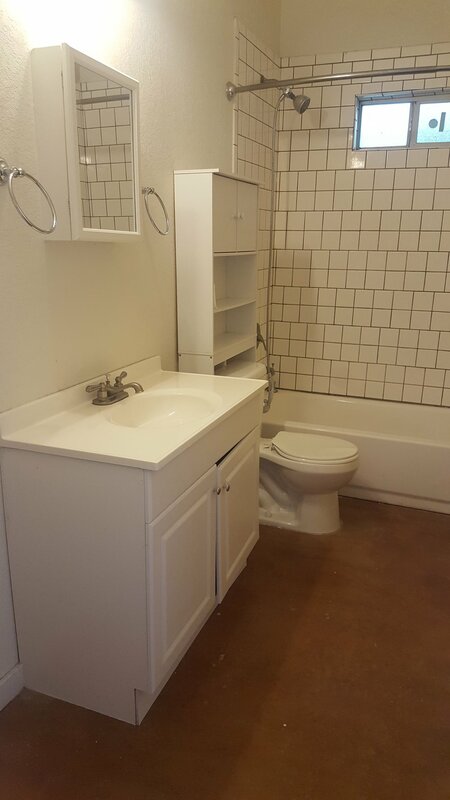 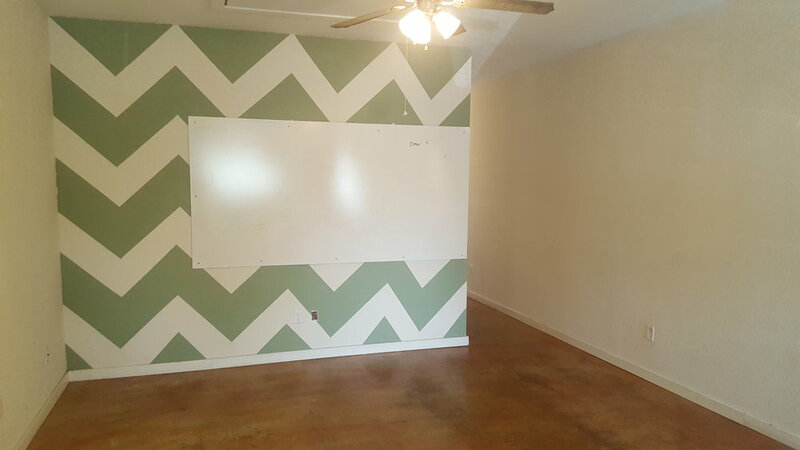 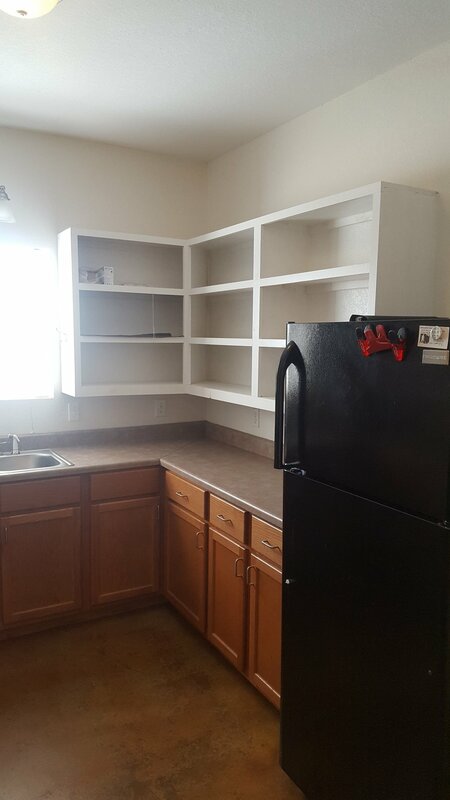 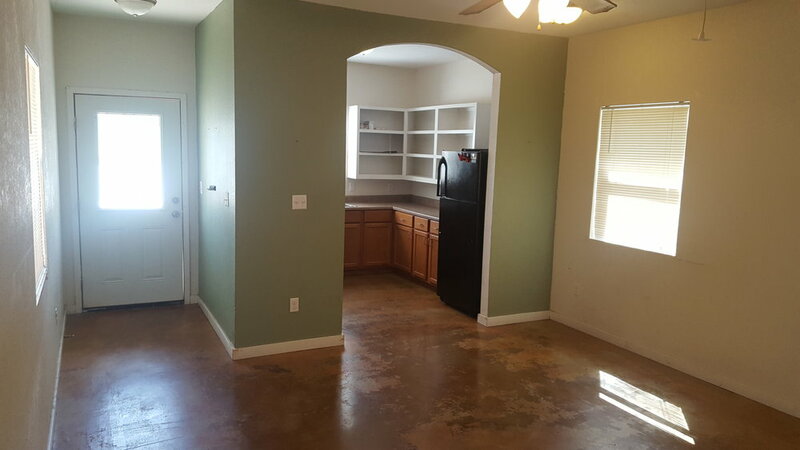 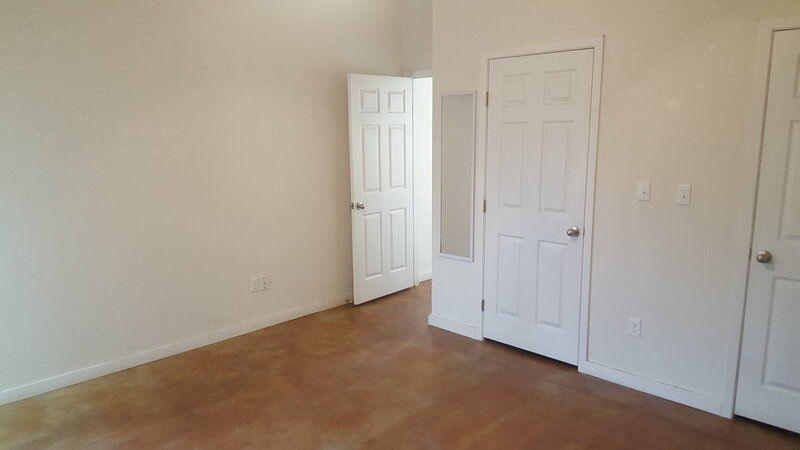 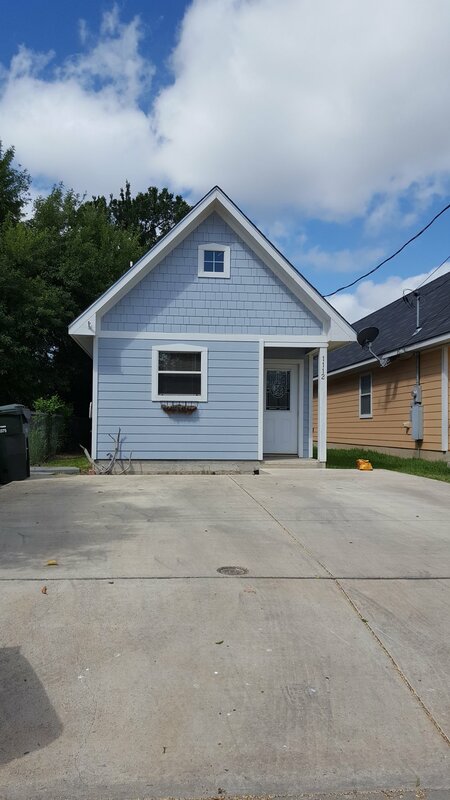 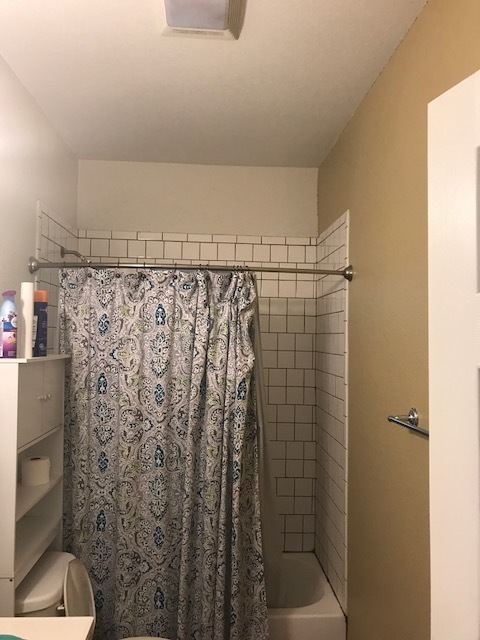 Adorable two bedroom, one bathroom home built in 2012. 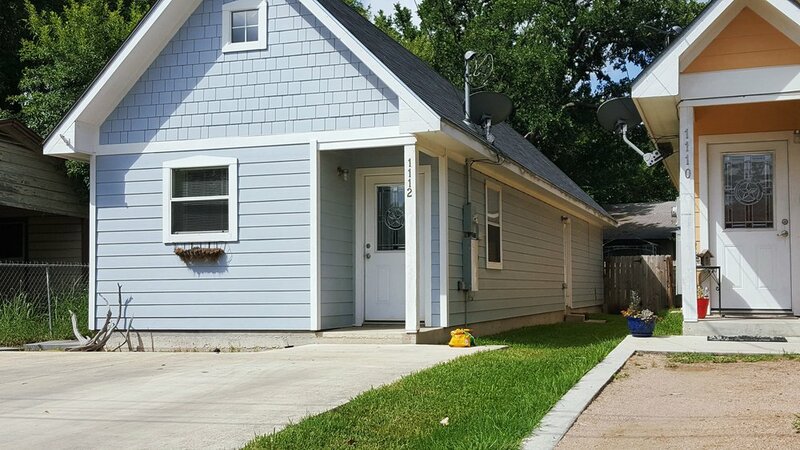 The property features 2-car private driveway parking, and chain link divided backyard. 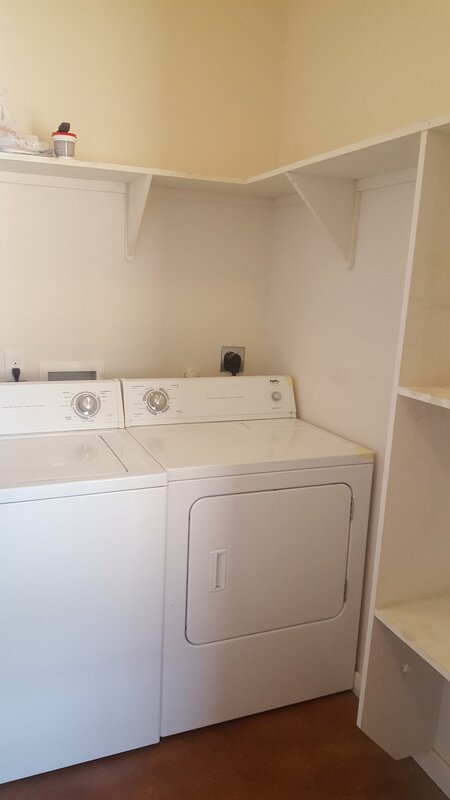 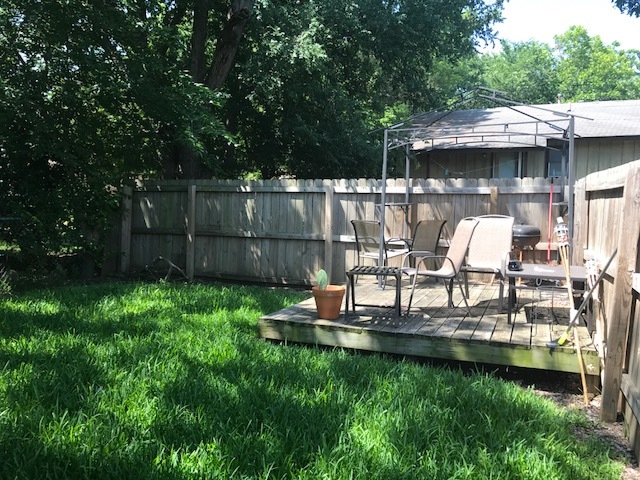 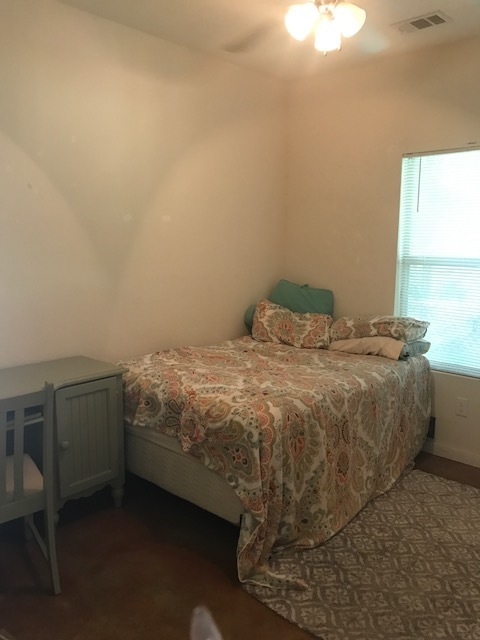 Includes a washer and dryer, stain concrete floors throughout the entire property, spacious bedrooms, and gorgeous trees surrounding property.